The UK government has advised Britons to avoid travelling to Mexico, as their travel insurance policies will no longer be valid. Following the outbreak of the swine influenza virus, the Foreign and Commonwealth Office (FCO) has recommended that British citizens only travel to the north American country if essential. This means that most citizens will be travelling to the source of the flu strain, as traditional travel insurance policies do not cover trips taken against the advice of the FCO. The policy on the FCO website now reads: "Visitors to Mexico should be aware of an outbreak of influenza. "We are now advising against all but essential travel to Mexico." The country now joins Burundi, the Central African Republic, East Timor, Guinea, Mauritania and Yemen as states that the FCO suggests should be avoided. 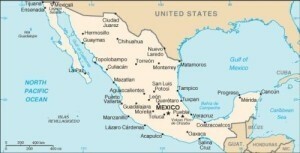 British citizens already located in Mexico are being informed by the Department for Health of the necessary precautions that should be taken. It is common for travel insurance policies to carry an exclusion stating there will be no cover for travel to areas where the FCO advise against travel. Sometimes they advise against all but essential travel and in which case it is up to the traveller tio decide if their trip is "essential".